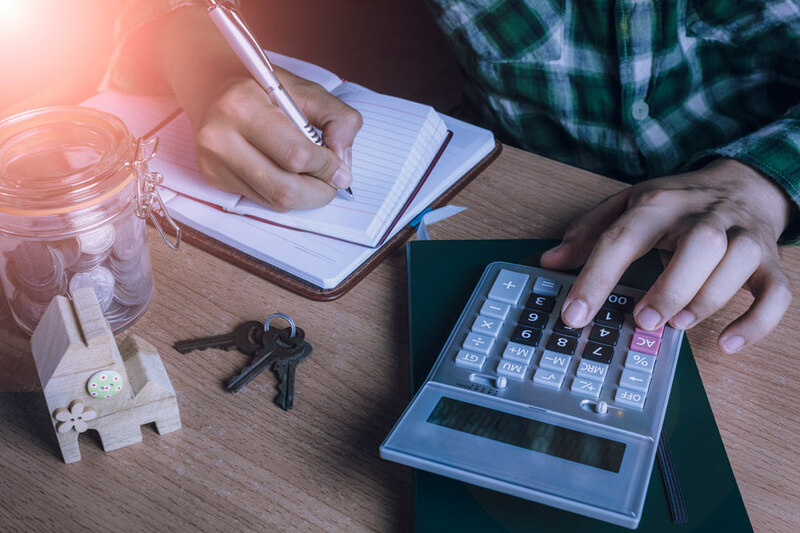 If you have ever thought of planning a trip somewhere you have no doubt thought about how much your trip is going to cost, what you need to bring, and what you are going to do. 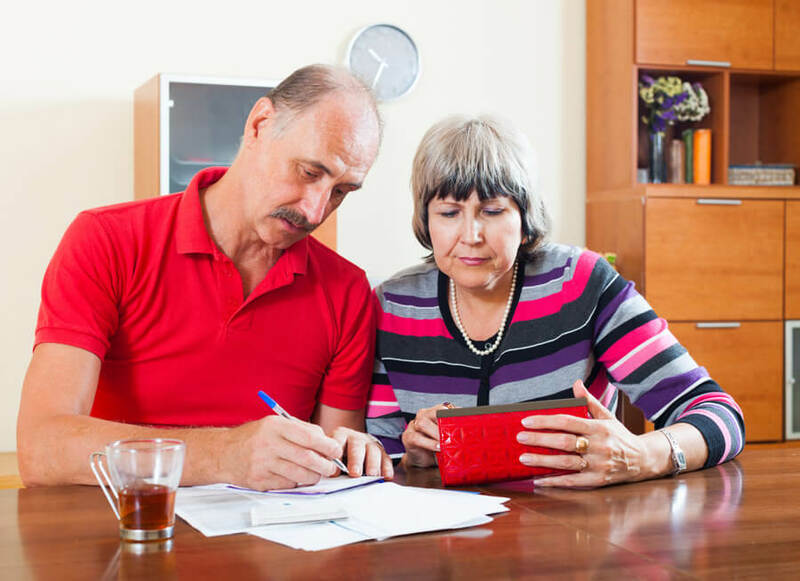 In order to make a good plan and budget you need to think of all these elements in a logical way such that you don’t forget or overlook anything. 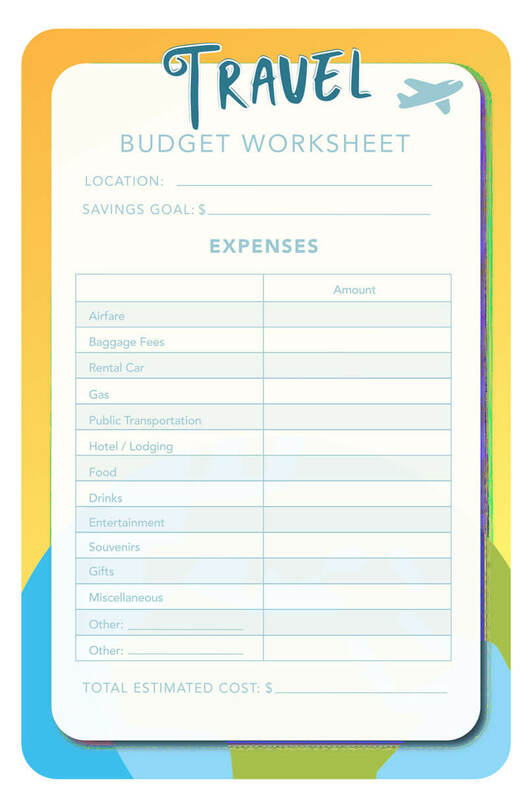 A travel budget template helps with this as all the elements of a typical trip are laid out in a spreadsheet format, so you just have to enter your own specific details. 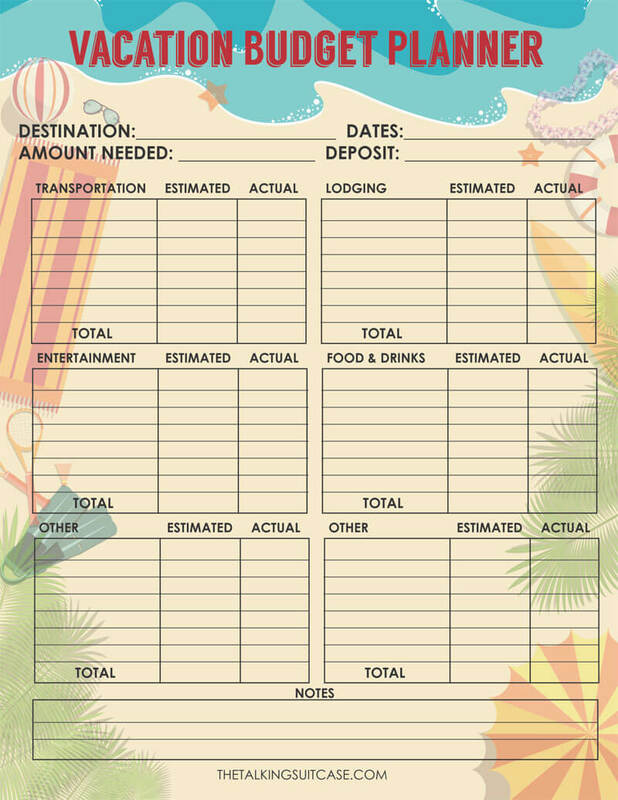 Some templates will also calculate costs for you, so you don’t have to even worry about making calculations, just enter the data and spend the rest of the time thinking about your holiday. 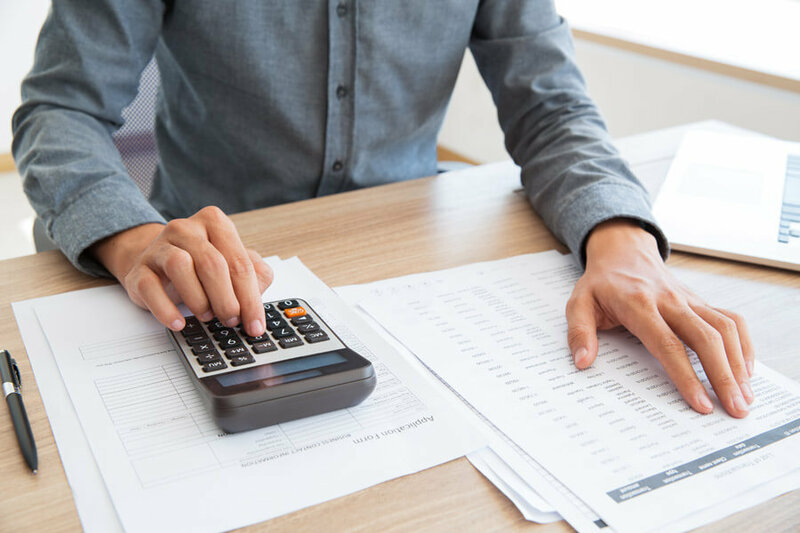 Planning and budgeting your holiday and travel is one of the key factors to a stress-free trip, but how do you make an efficient plan or budget? 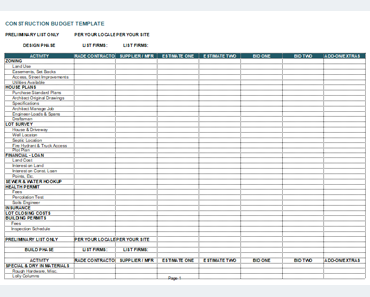 A good idea is using a pre-made travel budget template. 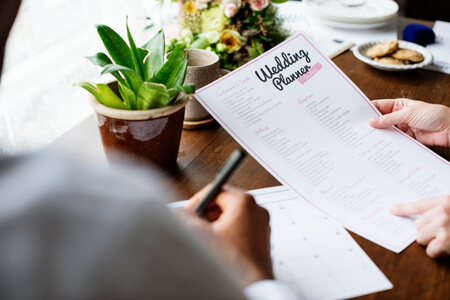 Using a template means you don’t have to think about coming up with a good structure for your budget and plan and, as the template includes all the key elements, you don’t have to worry about leaving anything out. 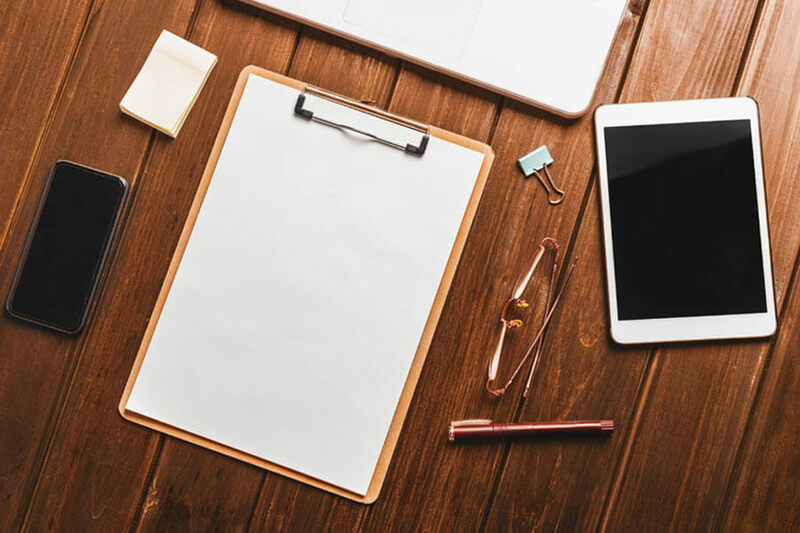 A well-designed template also makes it easier to visualize all the details of your trip in one place and gives you more time to actually think about the things you are going to do. 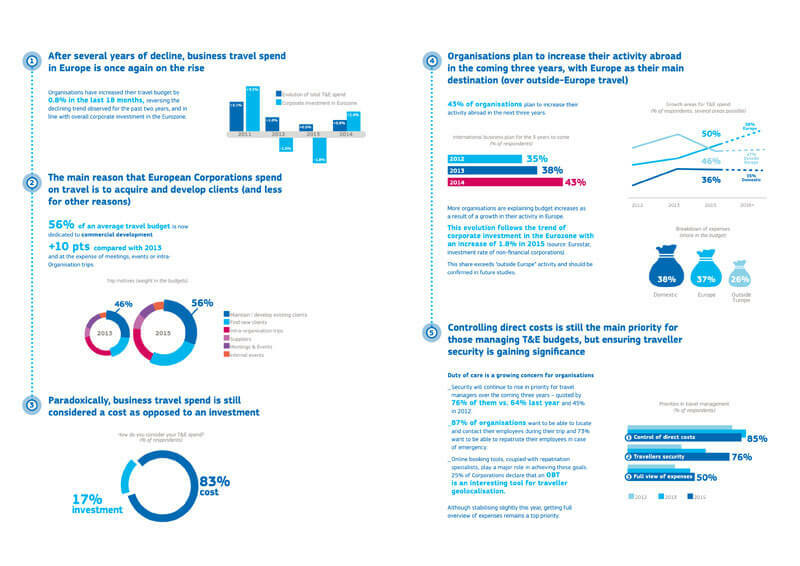 In order for a travel budget template to be efficient and effective it should contain the some key elements including, a description of each component of the trip, dates, individual costs and totals, and a section for notes. 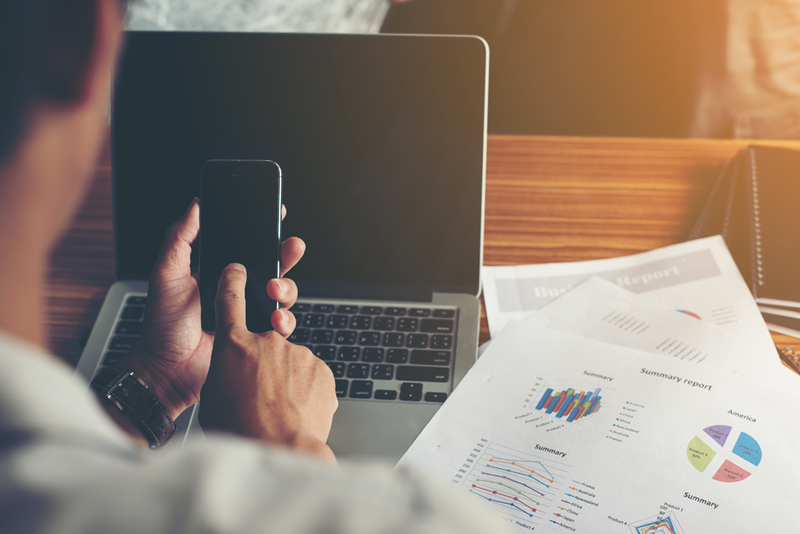 Ideally the template should be in a spreadsheet or table format which makes it easier to enter data and visualize the different components. 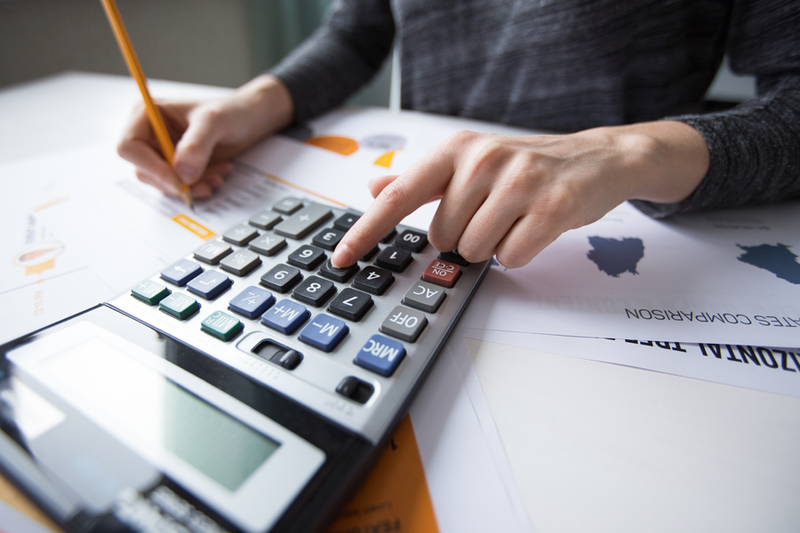 An excel spreadsheet can also have the inbuilt capability to calculate things like total costs, and differences between budgeted and actual cost. 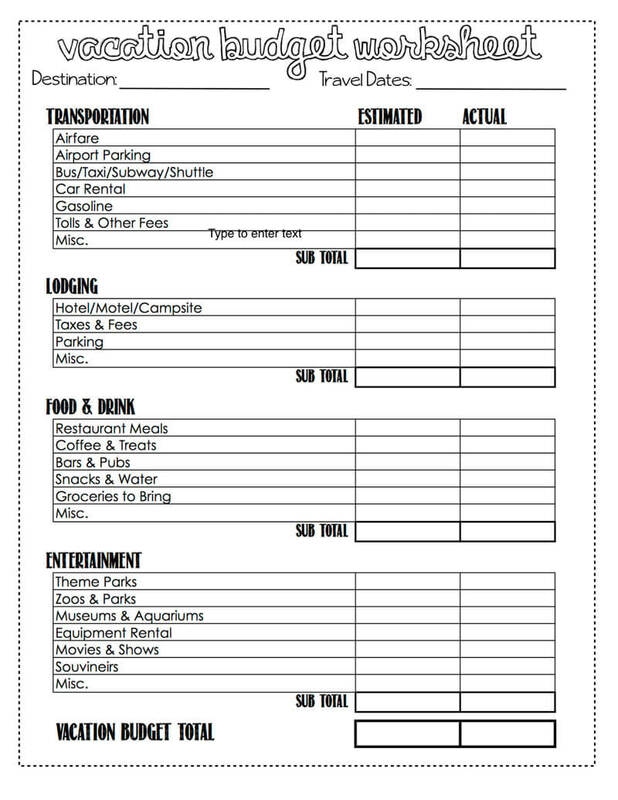 This comprehensive vacation worksheet maker contains four different sheets for planning different aspects of travelling. 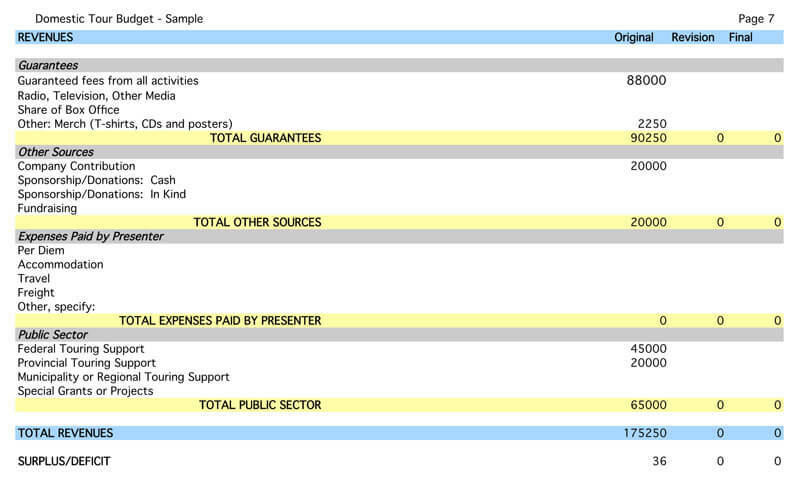 The example entries contained in each sheet demonstrate how they are used and can simply be replaced with your own data. 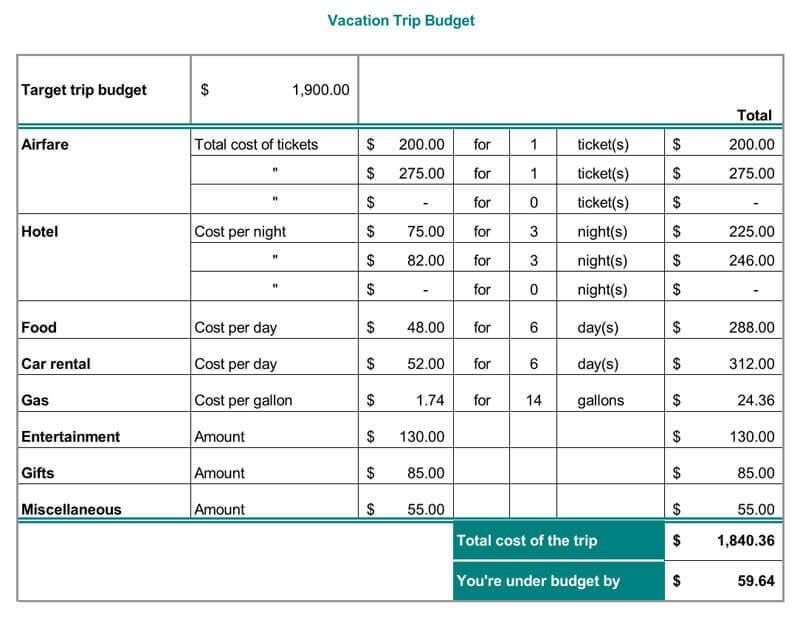 Budget: that can be used to total each individual element of your trip. 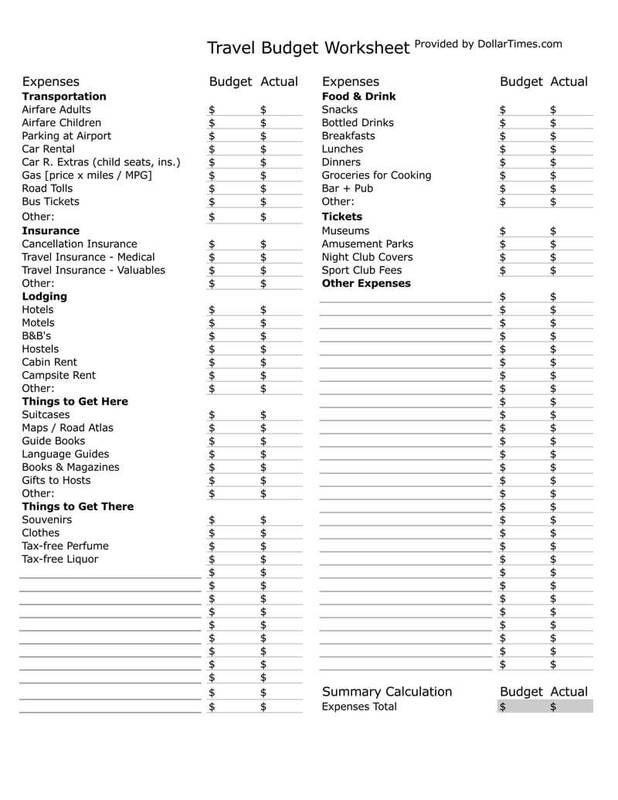 Itinerary: which is split into sections convenient for keeping track of your trip after you depart. 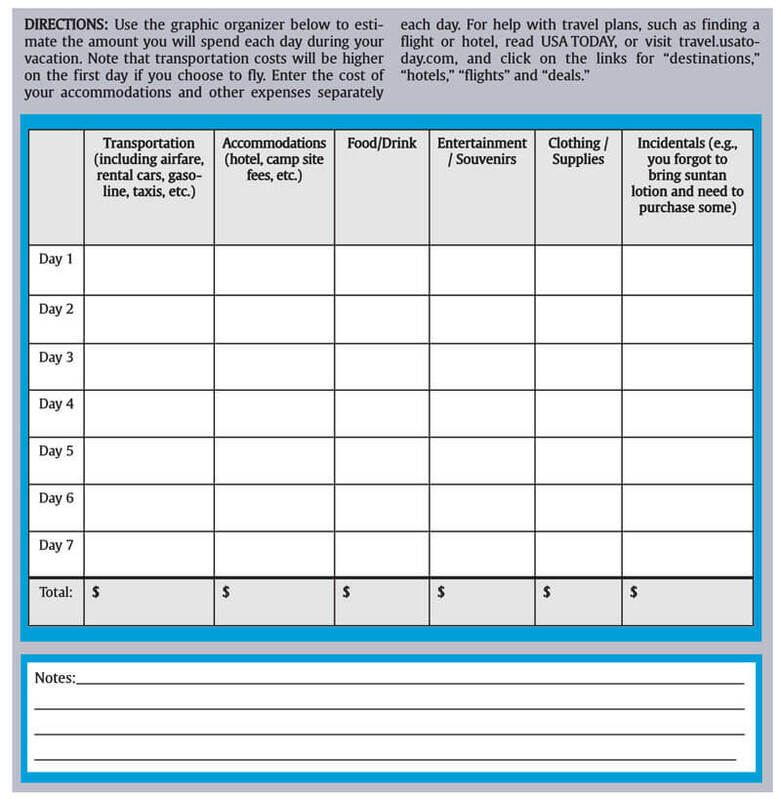 Camping trip planner: that will ensure that nothing is forgotten when planning a trip to the great outdoors. 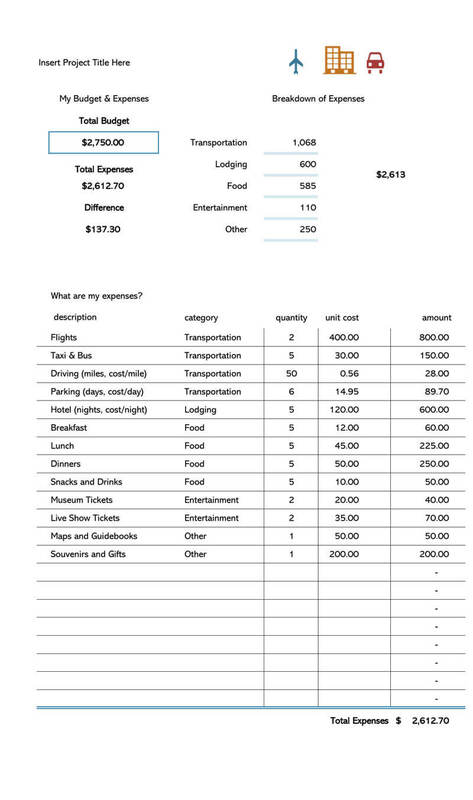 This is a simpler template collecting everything in one convenient section and doesn’t have example data. It mainly focuses on the costs rather than other planning and useful if you are going to a single destination although it could also be used for individual sections of a trip. 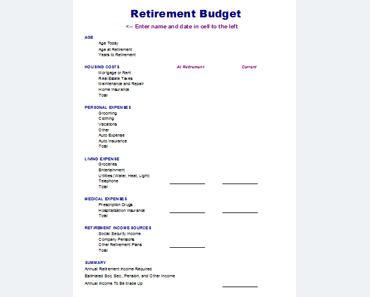 The simple and concise nature of this template makes it easy to print off and carry with you. 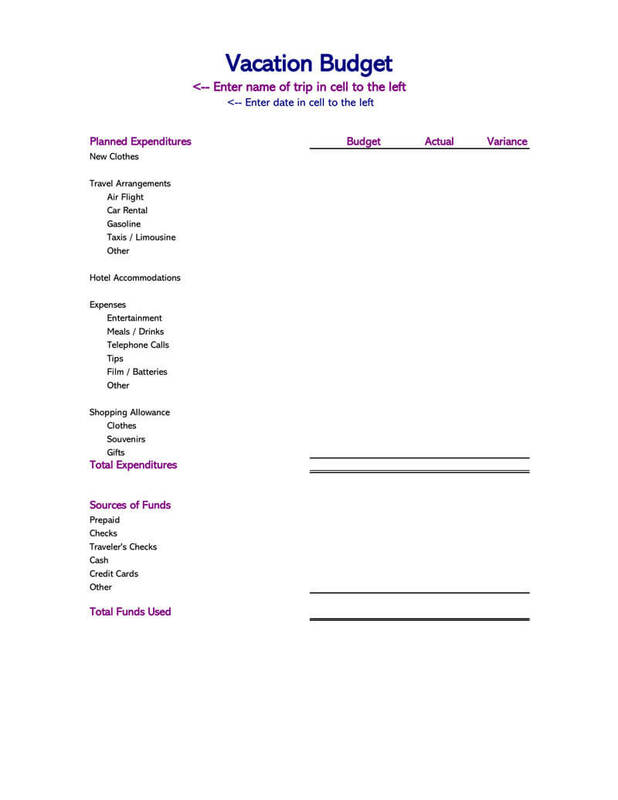 The final template has the advantage of being able to keep track of what you are actually spending compared to your budget. 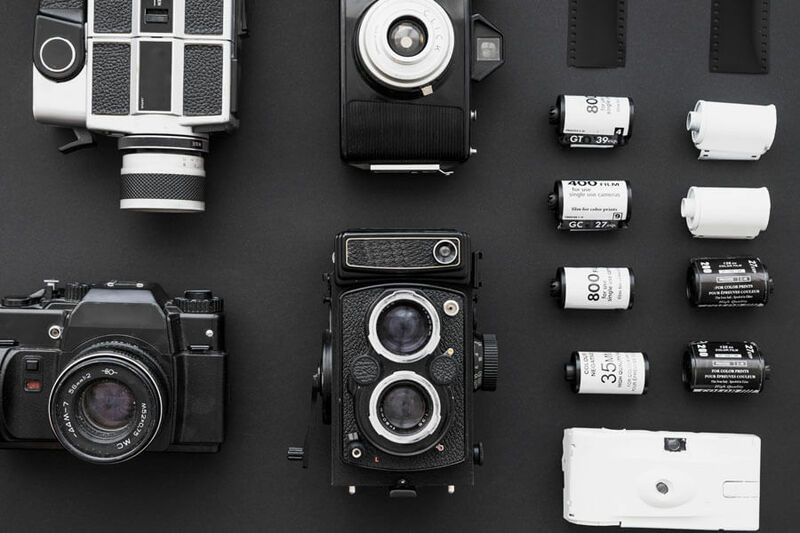 It conveniently splits your trip into different sections which make organizing and keeping track of things much easier. 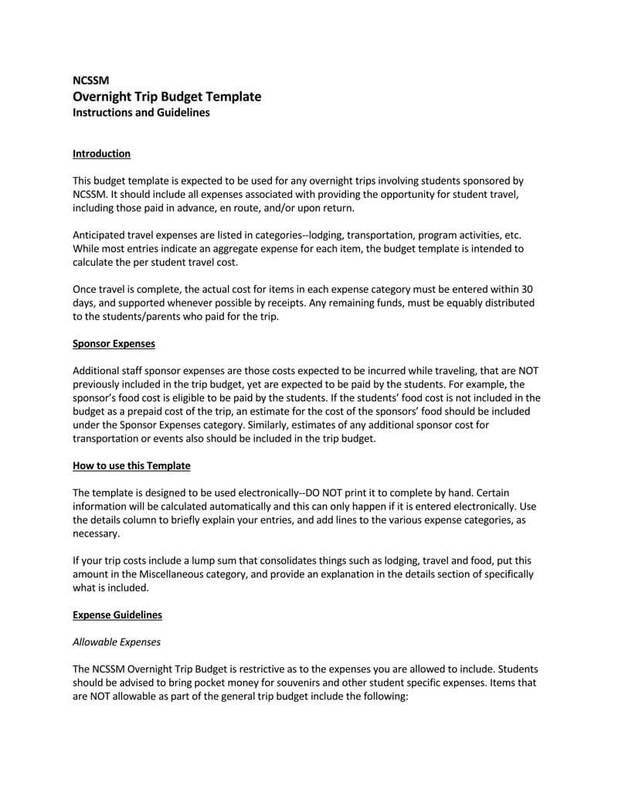 This template is to be used in two stages, first you enter your budgeted amounts, then, when you actually pay for items, you can fill out the actual cost and the template will automatically calculate the difference.